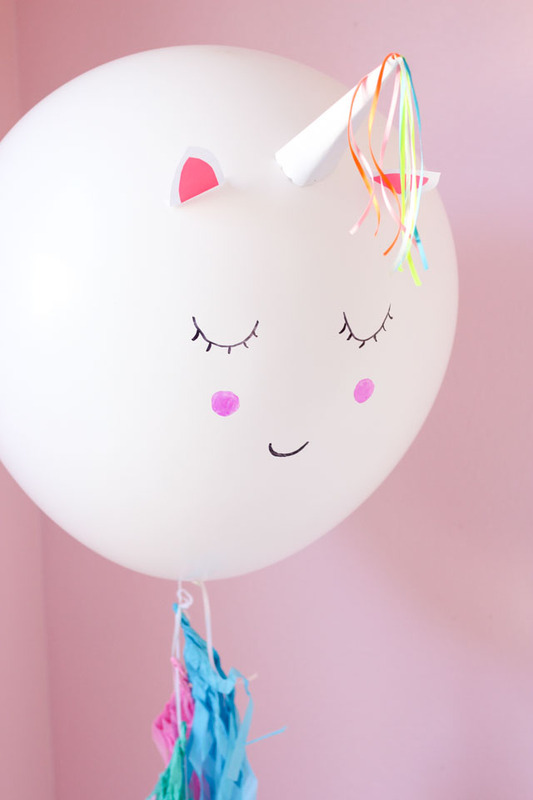 Get excited, it is Unicorn Week on Design Improvised and we’re kicking the party off with these giant DIY unicorn balloons! Yep, in case you haven’t noticed unicorns are having quite the moment. If you have young daughters like me, then they are next to impossible to avoid – you’ll find them on every type of clothing, accessory, and knickknack they covet. But you don’t have to be a tween to take part in the unicorn craze, us adults can love these magical creatures too! In fact, I read an article the other day that said there is a downright unicorn fever spreading through Germany right now (any German readers to back this up?!). To get in on the unicorn fun, I’ve partnered with Oriental Trading to create several unicorn crafts that I think you’re going to love. 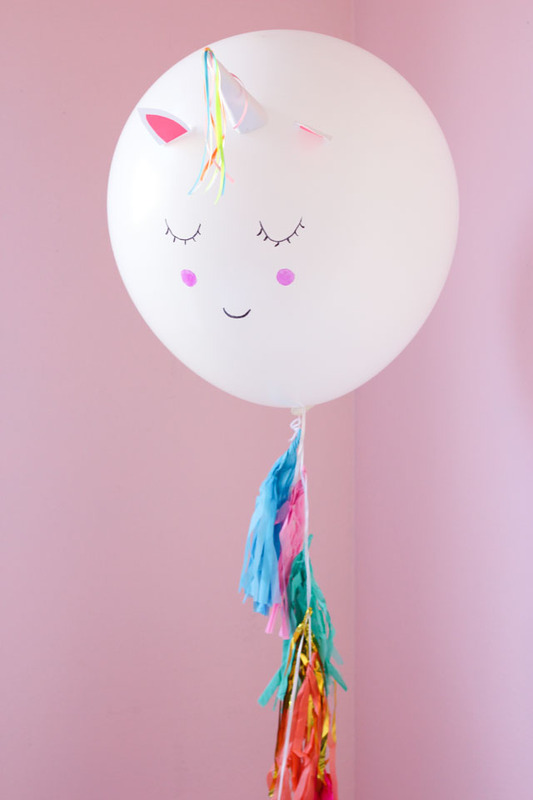 I’ll be sharing them all week, starting with these sweet unicorn balloons! Crafting with big balloons like these 36″ white balloons is a lot of fun because they have enough helium in them that they can handle decorations added to them and still stay afloat. I transformed my balloon into a unicorn with the addition of a unicorn horn party hat, some paper ears, and a pretty tassel garland! Just add a simple face with Sharpie markers and you have yourself a unicorn! These giant balloons make a big statement at a birthday party. Make two of them for an instant party backdrop. They will stay afloat for 6-8 hours without the tassel garland, and about two hours with the tassel (it weighs the balloon down quicker). I hope you’re excited to follow along with Unicorn Week! 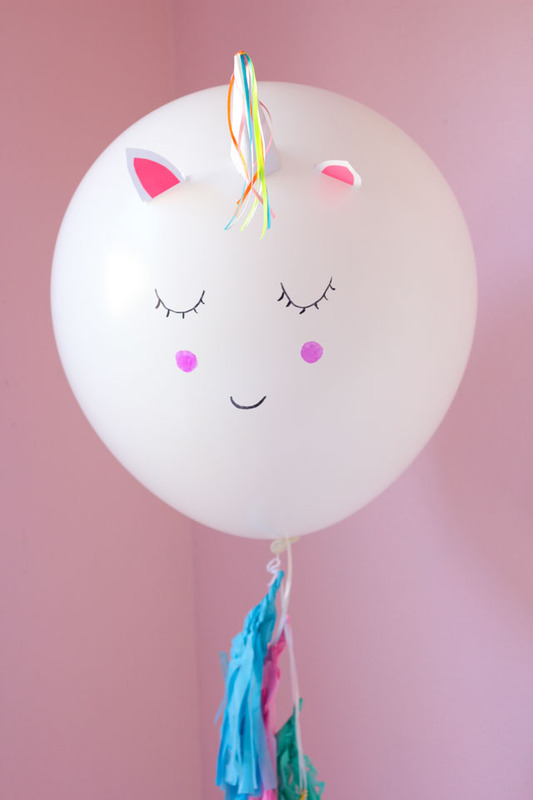 In the meantime, head to Oriental Trading’s Fun365.com site for the step-by-step unicorn balloon tutorial and full list of supplies!